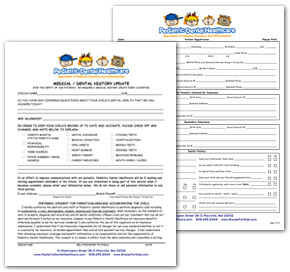 These forms provide our office with the information needed for new and existing patients. To help expedite the time spent filling out these forms in our office you can print and complete them before coming in for your appointment. When you check in for your appointment just give the patient coordinator the forms and you can relax and enjoy the experience. Each form is in PDF format, so you'll need to have Acrobat Reader installed on your computer to view them. Click here to download and install directly from Adobe.